Madaket sunsets are the best! Vacation in Nantucket - the way life is meant to be! 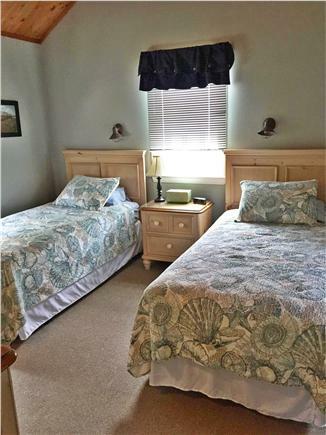 Classic beach cottage with all of the amenities, but without the pretense. A 5 min. walk to Madaket's best beaches and fishing. You can enjoy swimming, surfing, fishing, boating, shelling, biking, bbqs, golfing, and those beautiful Madaket sunsets. With 3 bedrooms, 2 baths, this simple and sunny cottage has room for all. Recently renovated kitchen with new counters, cupboards and appliances. Remodeled bath with new toilet, sink, W/D. Hard wood floors. Outdoor shower, large yard, sleeps 8. New for 2017! A new bright 3 season porch and a beautiful new deck - 400+ more square feet of living. 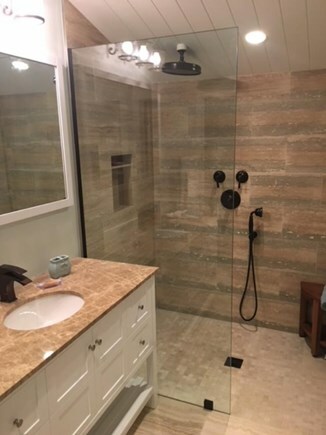 An updated master bath as well. Two minute walk to Madaket bus line and bike path, great walking/running trails on conservation land. The ''best part of the island. Sorry, no smoking allowed, pets negotiable off season with larger damage deposit. Additional availability info: This is a Sunday to Sunday rental in the summer. Start date is flexible in the off season. This is a Sunday to Sunday vacation rental. Additional pricing info: $250. refundable damage deposit, State and local taxes of 11.7% will apply. We’ve come to this cottage for several years now and have always had a good time. The house is ideally located and is very well maintained and appointed. The owners are accessible and always strive for an excellent vacation experience for their visitors. We felt at home the minute we crossed the threshold. The property and area are exactly as described. Beautifully decorated, plenty of light and cozy as can be in a storm. Secluded yet very accessible to beaches, bike path, etc. We can't wait to go back. My family and I spent a week on Nantucket for a family vacation. The. House was comfortable and big enough for teens and parents to relax! We all loved the outdoor shower, the short walk to bus and beach and the beautiful view of sunsets from house. Only downside was no gas grill but we improvised and cooked indoors instead. 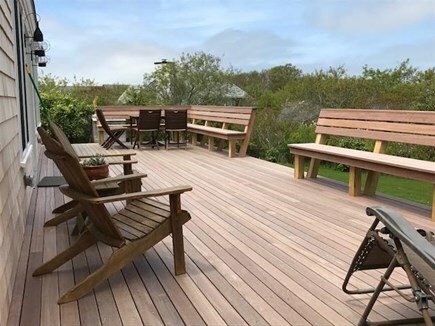 All in all a nice place for relaxing and enjoying Nantucket! Hope to come again! It is a relaxing place - so glad you enjoyed it. There is no gas grill, by choice, sorry, but we do have a great Weber charcoal grill in the yard (we have fed large crowds from this) and we leave a bag of charcoal for each of our guests. We hope you do visit us again. I was able to spend my last free summer days at this house on Nantucket and absolutely loved every second! This place is clean, convenient, beautiful, and well maintained! I enjoyed the outdoor shower, the large yard, having my coffee on the deck in the morning, and the short walk/drive to the beach. I hope to come back year after year. This place is amazing. I have been here twice so far and can't wait to go back! --Walking distance from the beach and Millie's-- Nice big deck and big yard --- plenty of beds -- Open layout with high ceilings makes it comfortably spacious. I had one of the most relaxing vacations ever! We are from New Hampshire and have always vacationed on Nantucket and never stopped. 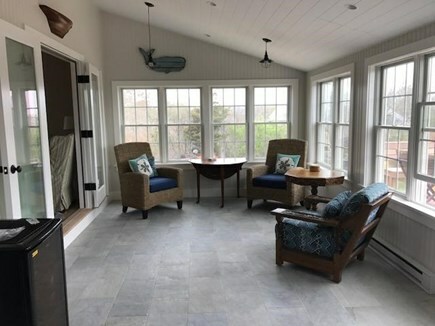 We are happy to have our own little spot of Heaven in Madaket - and when we are not able to be there, we rent it to friends and family and guests. This house is on the best part of Nantucket - Madaket is more like it used to be on the Island. 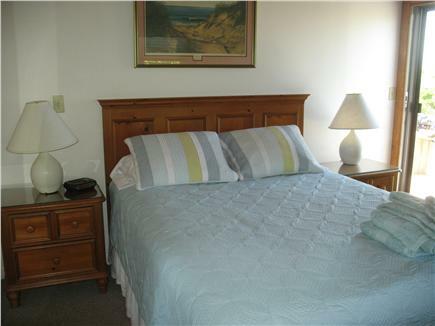 We love the location - 2 minutes to the bus and bikepath, 5 minute walk to the beach and Hither Creek and Millies!! The large yard and deck are great outdoor spaces and we love the privacy of this lot. Our new 3 season porch, master bath and deck make it even more inviting to stay. With all the comforts of home, you really just need food and clothes for your stay. This is a beach house that you want to come back to every year - and most do. Madaket is still in part, the real fishermans end of the island. Many blue fish and striper trips head out of Hither Creek daily. We have easy access to wave beaches as well as calm waters for kayaking and paddleboarding. 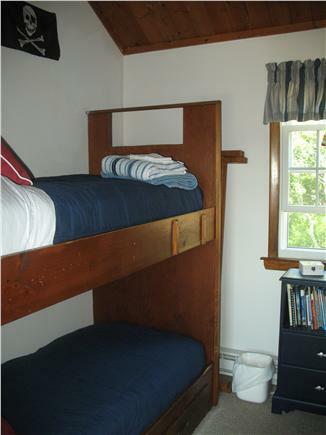 We like to stay away from the crowds in town and Madaket has all we need to enjoy our vacation.